The following is an excerpt from our weekly Market Brief. If you’re interested in learning more about Market Briefs and the Macro Ops Hub, click here. The Art of War by Sun Tzu dates from 6th century B.C and is the oldest known manual on military strategy. I first read it in my early teens and was captivated by the weight of the wisdom packed into such a short book. It’s not just a treatise on war but a deeper philosophical look at the underpinnings of how nature works, and more importantly, how we should operate within it. It’s one of the few books that I revisit every few years and still manage to come away with new insights each time. Sun Tzu birthed the concept of guerilla warfare. Guerilla warfare enables a small force to defeat a significantly larger and more well equipped one. It accomplishes this through extreme patience, knowledge of thyself and thy enemy, and a superior strategy that shapes the rules of the game to one’s advantage. The key is in the “shaping of the rules”. That’s what the patience, knowledge, and strategy all aim to achieve. It’s easy to win a game in which you’ve made the rules. A conventional army has to play by conventional rules. These rules are dictated by its size, the resources needed to sustain it while deployed, and the politics needed to support a large campaign. In a conventional war, armies fight for a binary outcome; they either win or lose. To win is to combat the enemy to a point where it loses its will to fight. In a war that involves a non-conventional force, such as an insurgency that uses guerilla tactics, the rules are quite different. The conventional force still fights for a binary outcome where success is dictated by breaking the enemy’s will. But the smaller unconventional force often has the advantage because it can establish a broader definition of what winning is. It can more easily set the rules of the game it plays. An unconventional force can win by just not losing. Being less dependent on large political support, it can use extreme patience to exploit a temporal advantage over its larger opponent. Because of its size it can utilize its mobility and speed to better dictate the points of engagement. It can control the operational tempo of the battlefield. The conventional force is compelled to rush because of the natural constraints that come with its size and deployment. For it to win, it needs to maintain financial and political support. This support declines the longer the campaign continues. Essentially, the conventional force is exposed to Theta decay that accelerates with the passage of time. In my past life, when I worked as a Marine Scout Sniper, I always exploited the benefit of being part of a small and unconventional force. 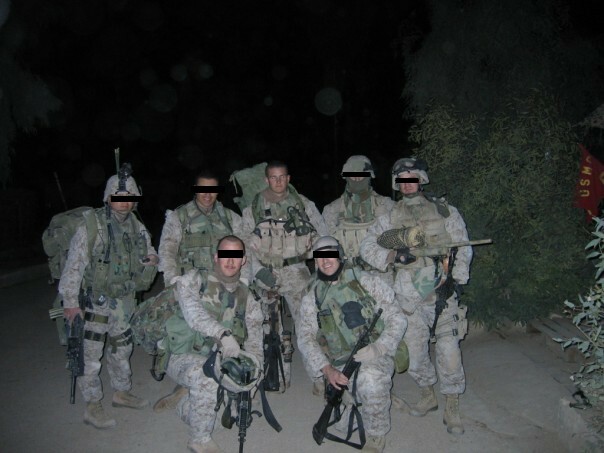 Operating in Iraq during the early 2000’s, we fought an enemy that used basic guerrilla tactics with some brutal success. We counteracted the insurgency by leveraging our conventional assets (air and superior firepower) in combination with our guerrilla warfare operational capability. We’d deploy in small teams (2-4 guys) that could stalk unseen into a busy city at night and set up shop deep within an enemy controlled area. We’d create a time advantage by being patient and selective in our targeting. This enabled us to be in places the enemy didn’t think we were, which meant they’d become unguarded and complacent. High valued targets would end up coming to us. Like the Spanish guerrillas, we operated in accordance with the teachings of Sun Tzu. We practiced the scout sniper motto of “Suffer Patiently, Patiently Suffer”. We used this to set the rules of the game in our favor. This allowed us to only play when we wanted to. Those who control the rules, control the game. As traders, we can utilize the same principles to set the rules and tilt the game in our favor. I think of the market as our competitor, our enemy. It’s a conventional force that has vastly superior numbers with combined cognitive power that establishes its pricing. This makes it highly efficient and difficult to beat. 99% of actively managed US equity funds have underperformed the market over the last decade (link here). And it’s in the news this week that Buffett is a sure lock to win his bet against the fund of funds manager. Buffett bet that the fund manager’s selection of a handful of hedge funds couldn’t beat a Vanguard S&P index fund over the last decade (the handful of funds the guy picked have performed pathetically). Now there are many reasons for this, many of which are centered around plain mediocrity. But I believe one significant reason is that fund managers are fighting a vastly superior conventional force by using conventional tactics. They keep most of their capital fully invested and diversified. This gives the market a temporal advantage over them and exposes them to inevitably poor human decision making. They’re playing the same game that everybody else is. They aren’t controlling the rules. So how do we control the rules of the game? Let’s turn to Warren Buffett. He controls the rules of the game that he’s playing better than any other investor. And most of this rule setting advantage is centered around his patience and willingness to “sit on his hands…” and do nothing, as Livermore would say. Buffett is highly selective. He only has to fights battles when and where he wants. He does so by spending the majority of his time studying and learning about the enemy and very little time actually engaging with it. I could improve your ultimate financial welfare by giving you a ticket with only twenty slots in it so that you had twenty punches – representing all the investments that you got to make in a lifetime. And once you’d punched through the card, you couldn’t make any more investments at all. Under those rules, you’d really think carefully about what you did, and you’d be forced to load up on what you’d really thought about. So you’d do so much better. This doesn’t only apply to investors, but traders as well. The average trader (myself included) consistently takes suboptimal trades. If you’re putting on a handful of trades a month, then you’re probably taking suboptimal trades too. And taking suboptimal trades means we’re playing the markets game, not our own, and assuming unnecessary risk. As traders we seek out highly asymmetrical opportunities. This translates to large market mispricings. But since the market is mostly efficient, these large mispricings are rare (in my experience they occur less than a handful of times a year). PTJ said, “First of all, never play macho man with the market. Second, never overtrade.” But as we all know, not trading is something that’s easier said than done. There’s few things worse than almost pulling the trigger on a trade but then deciding not too, only to see it take off for the races. Fear of missing out (FOMO) is one of the strongest impulses that we as professional speculators have to learn to control. By practicing infinite patience and being highly selective of the instances we engage the market and put our capital at risk, we start to set the rules and control the game a little more. This is a form of guerilla speculation. We use our small size and mobility to set the operational tempo and dictate the rules of engagement. This puts the odds in our favor and gives us a chance of beating a more powerful conventional force. We can continue to put the odds in our favor by leveraging our guerrilla speculation strategy onto a beta capturing strategy that seeks to piggyback off the prevailing trends in the broader indexes. This is a mutli-strat approach and something we’ve been spending a lot of time developing. Currently we have the Volatility portfolio and our Strategic portfolio. And in the next few weeks we’ll be rolling out a Core asset allocation strategy that’s a trend following system with a macro overlay. We’ll be able to capture multiple beta and alpha streams through a diversified approach. The Strategic portfolio can then be used to play higher conviction macro trades, using leverage when appropriate. A multi-factor approach not only helps smooth an equity curve but also helps fight the impulse to overtrade. The effects of FOMO are dampened because you always have a strategy at work for you. This allows you to stalk slowly and purposefully for your next high value target. It also gives you the dry powder and clarity of mind to strike when the moment is ripe. Like Sun Tzu said, If we wait by the river long enough, asymmetric trades will float by. So practice suffering silently. Study the enemy (market). And start to control the rules of the games you play.